Arthur A. Levine Books, 9780545732437, 320pp. Neal Bascomb is the author of The Nazi Hunters, winner of the YALSA Excellence in Nonfiction Award in 2014, among numerous other awards. 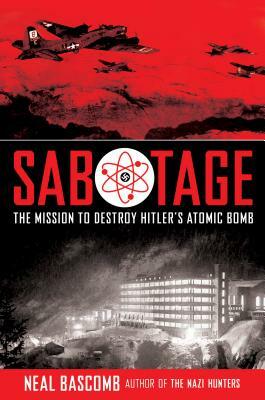 His second young adult book, Sabotage, was called “excellent” in a starred review from School Library Journal. He is also the author of six nonfiction books for adults on subjects ranging from a 1905 Russian submarine mutiny to a contemporary high school robotics team. The Perfect Mile, Winter Fortress, and Hunting Eichmann went on to be New York Times and international bestsellers. Neal lives in Seattle with his family and rascal dog Moses. Please visit his website at www.nealbascomb.com and follow him on Facebook at @nealrbascomb.